Star Trek Comic Book Review #189 is now available for download HERE and via iTunes. 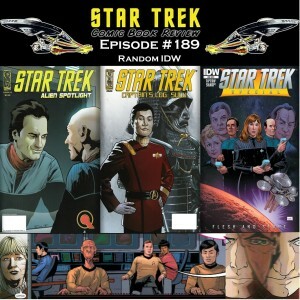 In it, we cover three random IDW issues: Captains Log Sulu, Alien Spotlight Q, and Flesh & Stone. Next week, we will cover Star Trek 2000’s era: Wildstorm’s Perchance to Dream 1 to 3.